Casualty numbers in Syria’s besieged East Ghouta enclave are soaring beyond imagination as the capacity to provide healthcare is in its final throes, said Médecins Sans Frontières (MSF) today. Hospitals and clinics supported by MSF had seen more than 2,500 wounded and more than 520 dead after just five days of intense bombing and shelling – from evening of Sunday 18 to evening of Friday 23 February, certainly an under-estimate the number of facilities who managed to report is decreasing and as many facilities in the area that MSF does not support have also received wounded and dead. Many of these are women and children. 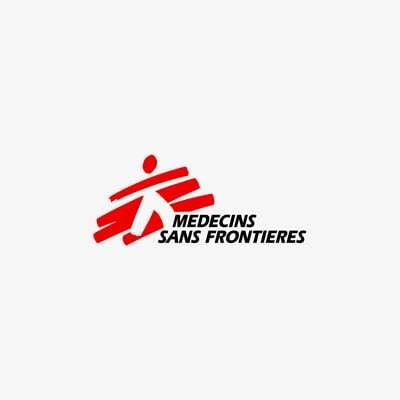 Yesterday, Friday 23 February, women and children represented 58 percent of the wounded and 48 percent of the deceased recorded by the 9 MSF-supported supported facilities that managed to report. Over the same period 13 medical facilities, fully or partially supported by MSF, have been hit by bombs or shells. Medics in East Ghouta who were already pushed to the brink have been working now for six days straight, without a break, with no realistic hope of being able to adequately treat their patients in such extreme circumstances. MSF calls for an immediate ceasefire to enable the basic human act of helping the sick and wounded. As a nurse who has worked through extremely grim conflicts, I am devastated to hear doctors and nurses in East Ghouta saying they have 100 wounded patients and no hospital because it has just been reduced to rubble by bombing,” says Meinie Nicolai, General Director of MSF. On the third day of this offensive, the medics that MSF supports were calling for increased medical supplies. Now, after six days of incessant bombardment, they are saying that even with supplies they would have no physical capacity left to keep treating the wounded, and they call for something else – for the bombing to just stop. As the war in Syria has increased in intensity, the frequent calls by MSF and others to respect International Humanitarian Law (IHL) – the rules of war – have demonstrably fallen on deaf ears. We will not abandon our calls for IHL to be respected, but we add now a specific plea: for the medics to be able to do their job the shelling and bombing by the Government of Syria and the armed opposition groups in East Ghouta must pause immediately, and we call on the supporters of these belligerents to use their influence to alleviate this extreme situation. With high numbers of medical facilities hit and damaged or destroyed, with roads for transferring patients either impassable because of bomb-rubble or from fear of bombing, with medical supplies limited or entirely lacking, and with extraordinary numbers of patients and extraordinarily exhausted medics, a humanitarian response is urgently required. At the start of the recent escalation in fighting, MSF was providing a full package of regular support to 10 health facilities in East Ghouta, and had been increasingly active in supplying other facilities with emergency medical donations. Even facilities that had not asked for MSF support for years were asking for help, and MSF was providing emergency donations to most hospitals and clinics in the area from its fast-depleting stocks in the area, but unable to supply some key items for surgery that were simply unavailable to anyone in East Ghouta. No MSF staff members are present in supported facilities.